There’s a well-kept secret of sorts on Disney property…a standalone cabin that will hold larger families (up to 6), with a fully-equipped kitchen, 2 full size beds, and a set of bunk beds, and a private parking pad. Where can one find this fabulous gem? 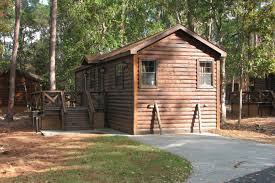 At Disney’s Fort Wilderness, right close to the action in the Magic Kingdom area! Just a short boat ride away from good ol’ MK, these little wonders are perfect for families who like some space to spread out, needs more beds for more little bodies, or just want the convenience of a kitchen to prepare meals every day. We stayed in a cabin as a family of 5 and found the layout to be ideal for us. Let’s start with the bedroom. There’s a full size bed and twin bunk beds here, along with a small vanity area with electrical outlets, so one can get ready in the morning here instead of the bathroom. There’s also a (very) small closet here. You’ll also find a small chest of drawers, flat screen TV, and nightstand between the bed and bunks. My husband took the full-sized bed, while my then 9- and 7-year-old sons took the bunks. Meanwhile, on the other side of the bedroom door (yes, a door! yay! 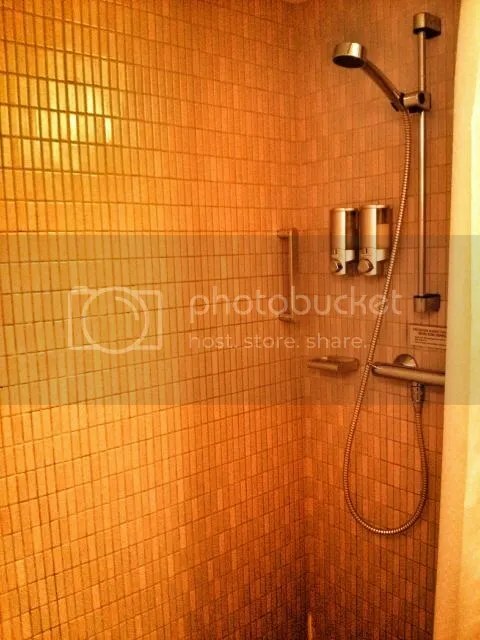 ), there’s a hallway with a bathroom (full size, long vanity, shower/tub combo), a housekeeping closet, and then your kitchen. The kitchen is fully equipped, right down to paper towels, dishes, utensils, dish soap (but they will do the dishes for ya! ), coffee, creamer, etc. Truly everything you could need to put together a meal. 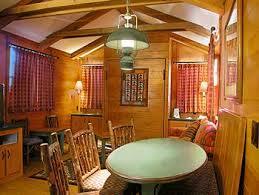 To the side of the kitchen, you have an eat-in dining area with a large table with seating for 6. Moving into the living area, you have a full size Murphy bed, sofa, small table and chairs (child size), and another flat screen TV. I co-slept with my then not-quite-2-year-old daughter in the Murphy bed and found it very comfy. I would absolutely, positively, 100% recommend a cabin to any family looking for a little more space and a little more bang for your buck! You may or may not remember that I’m from Louisiana and down here we love a good party. Personally, I love a good party with a Disney theme! We just had our Mardi Gras celebration and my local small town parade was Disney themed so you know I had to be there! This particular parade was family friendly and a ton of fun. My kids and I had a blast! I set up a gallery of all the photos I managed to take while still catching beads. I’m a Mardi Gras Multitasker! Enjoy! Join us and special guest, Lee, as we talk about all the fun things you can do on your Disney vacation that don’t require a park ticket. It’s always a good idea to take a break from the crowds and do something a little lower key and we have plenty of tips to help you make the most of those days. 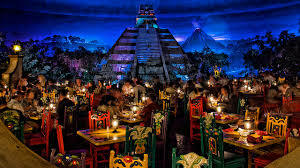 Join us this week as we discuss all your dining options in the Epcot Resort area! This includes everything within BoardWalk Inn, Beach Club, and Yacht Club! We also have ex-Cast Member Chris back on the show with us! If you’re thinking of staying in the Epcot area, you don’t want to miss this show! 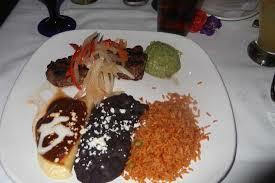 At the end of last month, I had the opportunity to take a Carnival cruise from New Orleans to Cozumel. Now, I know we normally talk about Disney on this blog so I thought we could compare Disney Cruise Lines to Carnival Cruise Lines just a bit. Now, I’m a die-hard devotee to DCL, but they don’t sail out of New Orleans at present, but Carnival, Royal Caribbean, and Norwegian do. And this Carnival cruise was cheap! It cost us $600 including travel insurance for two adults for a 4 night cruise! You can’t beat it! Disney Cruise Lines would have cost us a lot more, not only for the cruise itself, but because we would have had travel costs to Florida as well. 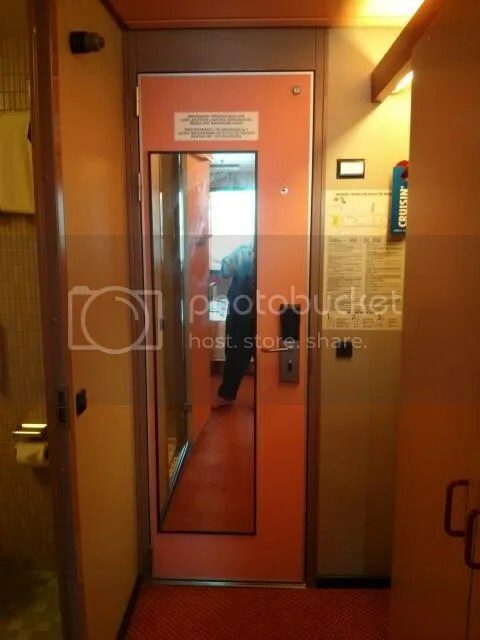 In this installment, we will just discuss the staterooms. Our ship was the Elation and our room was an Oceanview on Deck 5 (Main). The Elation rooms in this category around approximately 185 sq ft and slept 2 people. A similar Oceanview stateroom on DCL is approximately 214 sq ft and sleeps either 3 or 4, depending on the ship. In this particular stateroom you could have either twin beds or you could have them pushed together to make a king. While my husband and I prefer a king, I hate how the beds separate in the night leaving a crack down between the two beds. On the Disney ships, this category room would come with a queen bed and a sleeper sofa. Advantage: Draw – My husband and I prefer the king, but hate the beds separating. Disney has an actual queen bed. Our Carnival room did not have a sitting area other than the bed, and a stool at the vanity. 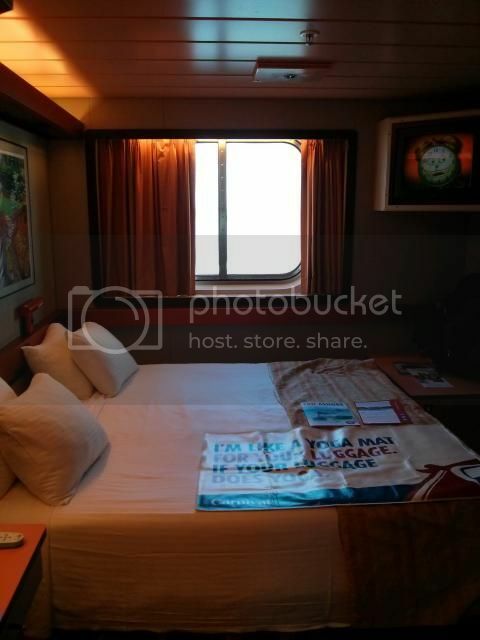 A comparable DCL room would have had a sofa. Our Carnival room had an old style tube TV that felt very dated, while all the DCL fleet have flat screens. Storage in the Carnival room was adequate. We were able to store our empty luggage under the bed until it was time to repack. Same goes for DCL. Room service is available free of charge on both ships. Both had nightly turn down with towel animals and chocolates. 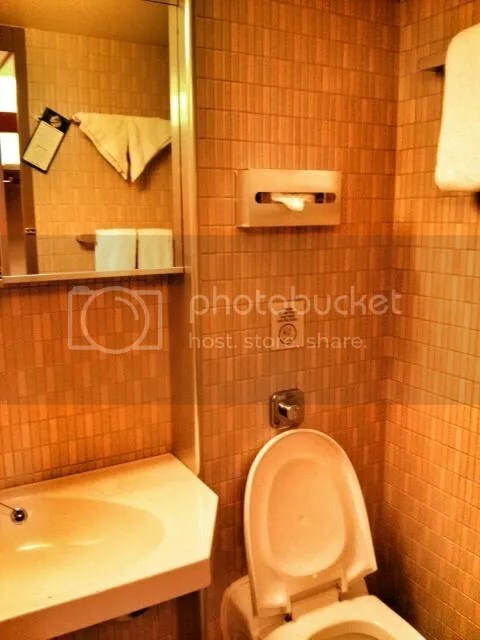 Both fleets have very well-maintained rooms by friendly staff. Advantage: DCL, just for sitting area and TVs. I think what we can take away from this is that, while DCL is preferable and more spacious and luxurious, Carnival is not to be written off completely. We had a great time and our room was adequate for our needs at a price we could afford. 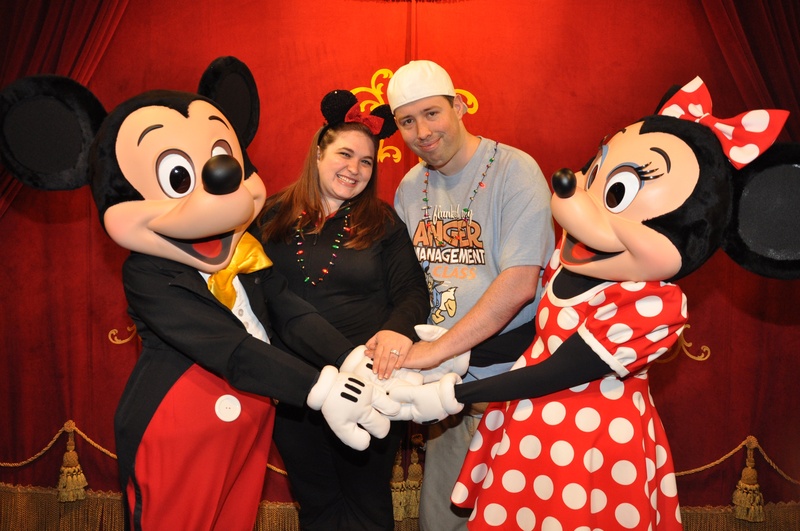 Valentine’s Day Blog Special: Jeannine & Vinny’s Disney World Engagement! Love is in the air! 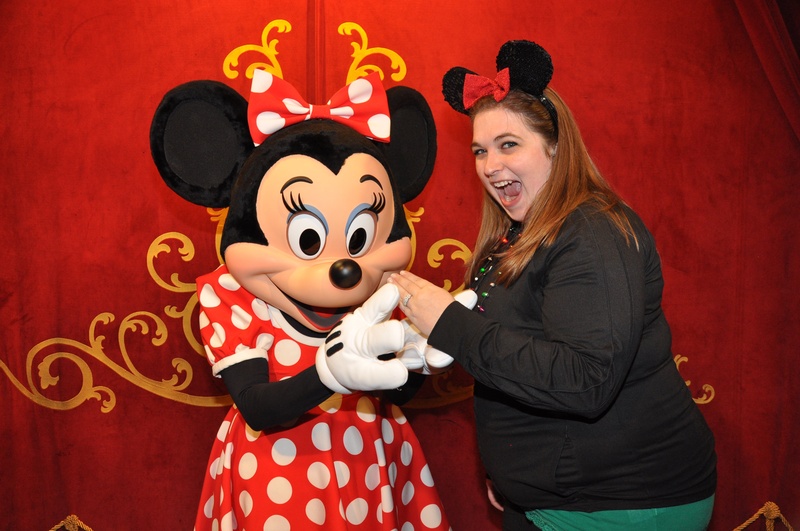 Today I had the honor of interviewing one of my best friends on her amazing 2011 Walt Disney World engagement. Jeannine has been a Disneyphile since she was a young child and enjoyed regular trips with her family. 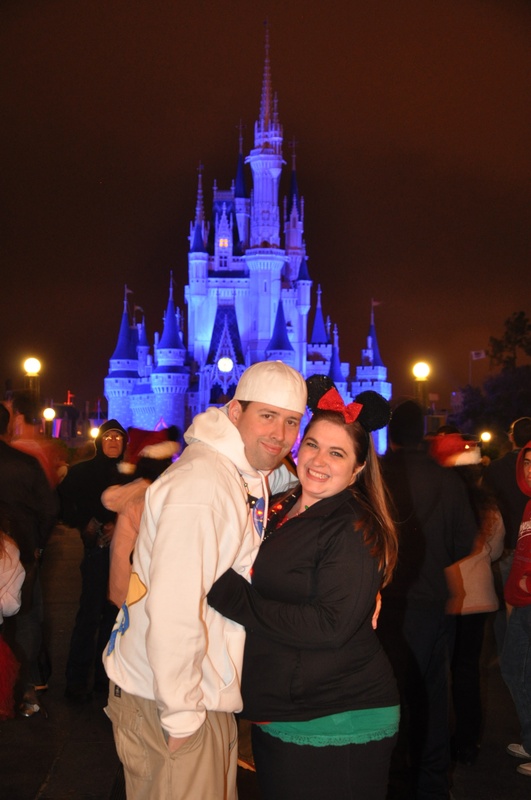 She was able to convert her now-husband Vinny easily after their very first trip together to Walt Disney World. Soon Jeannine and Vinny were enjoying regular trips to the World, but this trip in 2011 was just a little bit different! Here is their engagement story and then some questions and answers directly from the bride. 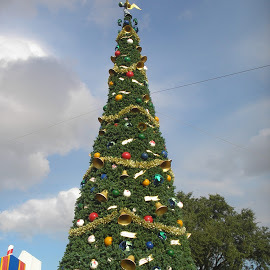 Early on the morning of December 3, 2011, Jeannine and Vinny flew from Boston to Orlando for their stay at Disney’s Port Orleans Riverside resort. They spent the afternoon shopping at Downtown Disney, where Vinny was feeling particularly generous and kept offering to buy anything Jeannine’s heart desired. Jeannine says in hindsight this was her first (but not only!) hint about what was going to happen on this trip. The hints kept on coming when they headed back to their resort to get changed for dinner and night-touring at the Magic Kingdom. Vinny came out of the bathroom dressed in nicer clothing than usual, and urged Jeannine to change into something other than her usual attire of yoga pants. She declined, not knowing what was to come. At the Magic Kingdom they rode some rides, where Vinny always placed Jeannine on his left which was later explained by the fact that he had the ring in his right pocket. 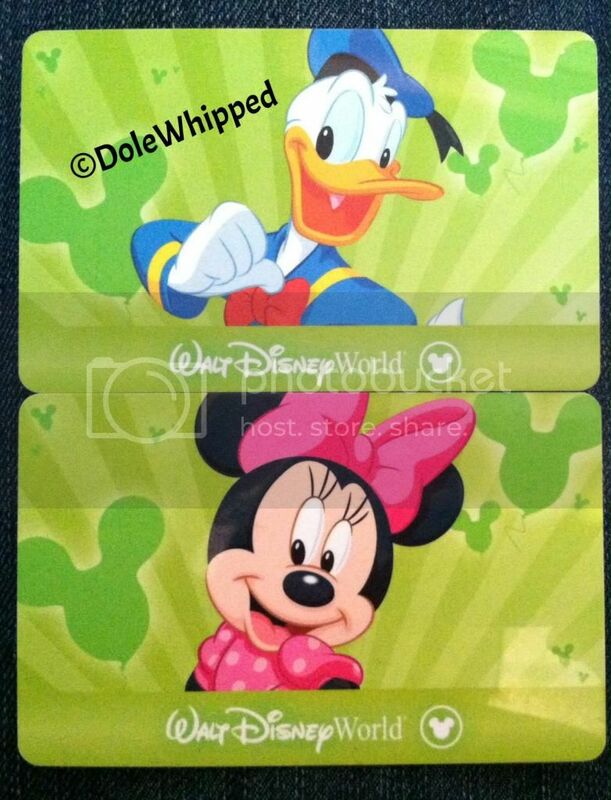 I can’t imagine walking around the Magic Kingdom with such a precious and priceless item in your pocket. I don’t know how Vinny did it without passing out! Finally they headed to Cinderella’s Royal Table where Vinny had pulled some strings and changed their 5:30pm reservation to 9:15pm to coincide with the evening’s fireworks show. 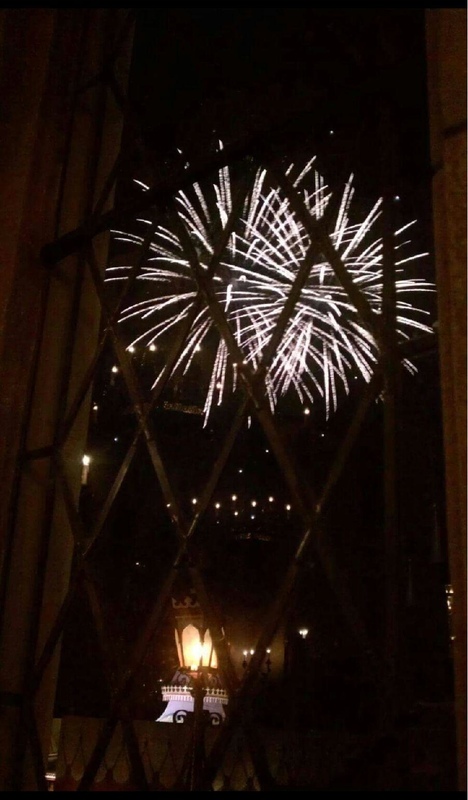 This was another very big hint that Jeannine had explained away (because any regular Walt Disney World visitor knows you can’t just “change” your Cinderella’s Royal Table reservation at will… especially not to fireworks time). Though she did become suspicious upon being seated at a window front table, wondering exactly what Vinny had done to score that prime seating. Jeannine and Vinny were lucky enough to be waited on by Jay, a waited with whom they’d been seated twice in the past (and, spoiler alert!) would later be seated with on their honeymoon when they ate again at Cinderella’s Royal Table. Disney magic! Vinny barely ate his dinner, but Jeannine helped him out, clearly not feeling the nerves that he was at the time. The princesses were making their way around the restaurant but soon that stopped, the lighting went down and music began to play for the Wishes fireworks show. Immediately after the fireworks ended Jay delivered a white dessert plate with a cover, which Jeannine didn’t see coming but she DID hear a gasp from a nearby table. When she turned she saw Jay delivering a white dessert plate… only they hadn’t ordered dessert! 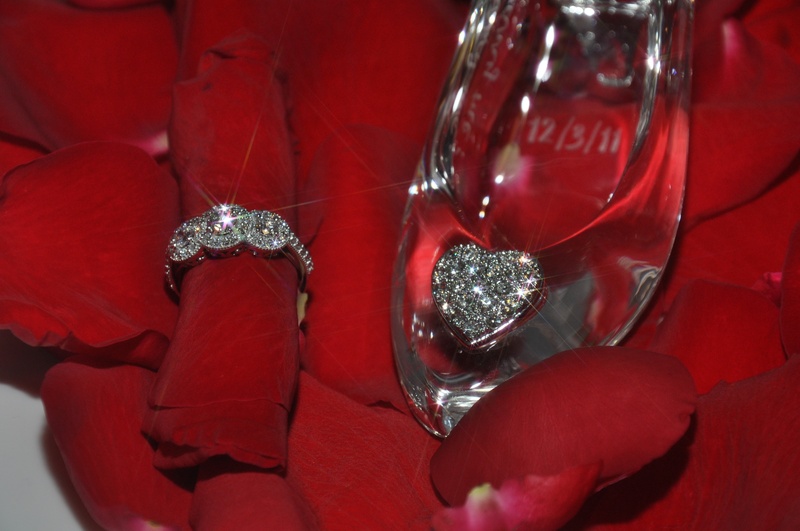 The plate held a glass slipper and a gorgeous engagement ring. Vinny slipped Jay the ring during one of Jeannine’s dinner restroom breaks so it was all set and done perfectly. Jeannine turned back and Vinny was on one knee. Things around them got very loud as people were cheering and a PhotoPass photographer had appeared to capture the moment. It was so loud, in fact, that neither Jeannine nor Vinny are sure he actually asked her to marry him OR if she said yes. Regardless and most importantly Jeannine ended up with a ring on her finger and they were engaged! “Real” dessert and two champagne flutes were delivered to the table and Ariel came over to take a celebratory photo with the couple. The PhotoPass photographer did some posed photos of Jeannine and Vinny and her new bling. While the photos were being taken, Cast members at Cinderella’s Royal Table took their champagne flutes and the glass slipper to wrap them up securely for them to take home and keep forever. The cast members at Cinderella’s Royal Table also delivered two of the coveted “Just Engaged” buttons for them to wear around the parks for the rest of their trip. At the end (or beginning) Jeannine and Vinny headed into the parks to start their happily ever after! What did you do after you got engaged, anything special to celebrate? Did you buy anything to commemorate the occasion? How did Vinny set up the engagement? What made Vinny choose Disney? Did you research Disney weddings? 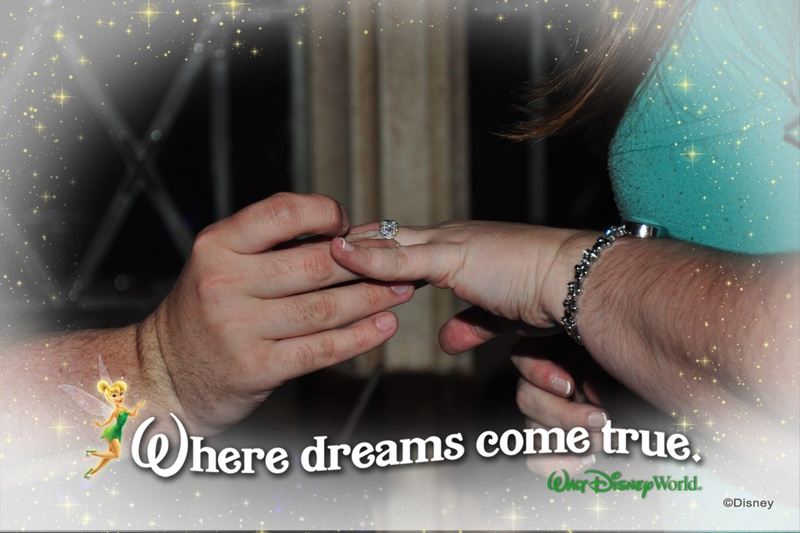 What would you recommend to other people planning a Disney World engagement? Thanks so much for sharing with us, Jeannine! If you have stories of your own Disney engagement or honeymoon, or are simply dreaming of these things we’d LOVE to hear about it! Tell us in the comments section here or head to our Facebook page! 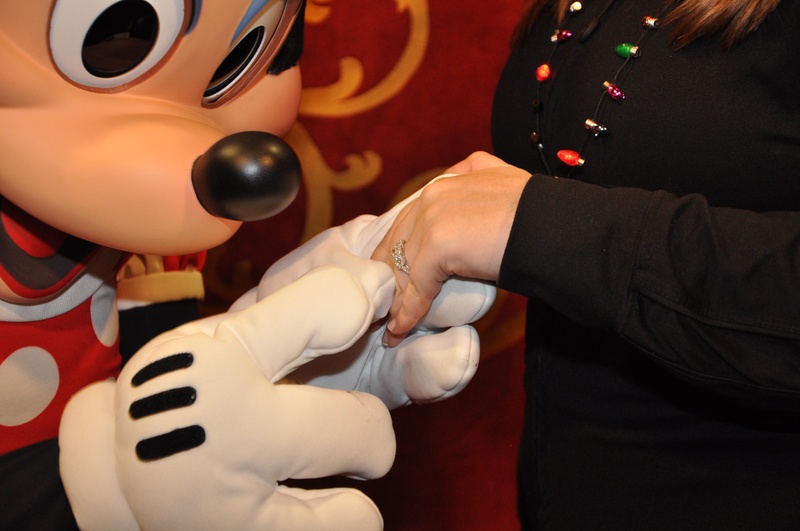 Dreaming of your OWN Disney proposal? We’ve got the link for you! 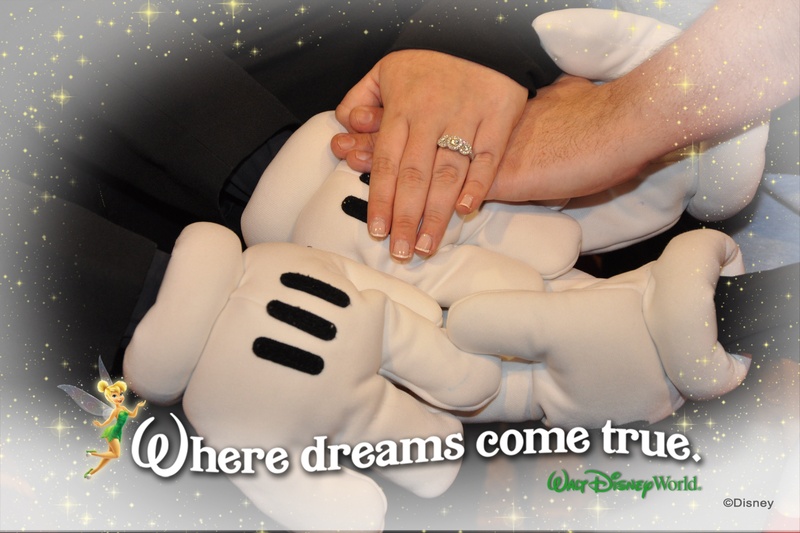 Head to Disney Weddings and submit a video telling them why you and your significant other deserve a dream Disney proposal. One winner will receive a five day, four night trip to either the Walt Disney World Resort or Disneyland Resort, tickets to the Park and a Disney’s Fairy Tale Weddings “proposal package” including the help of an engagement planner to create and execute a custom surprise proposal!